Autumn is using Smore newsletters to spread the word online. Step 1: Find a common denominator. You can find a common denominator by either multiplying both denominators together or finding the least common multiple. Step 2: Whatever you multiplied the denominator by to get the common denominator, you need to multiply the numerator by the same thing. 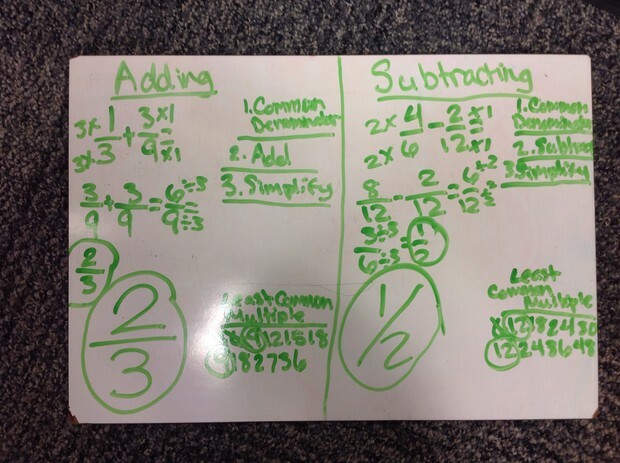 Step 3: Now, you simply subtract/add the numerators and keep the denominator the same. Step 4: Last but not least, ALWAYS SIMPLIFY IF YOU CAN. Step 1: Multiply the numerators, multiply across. 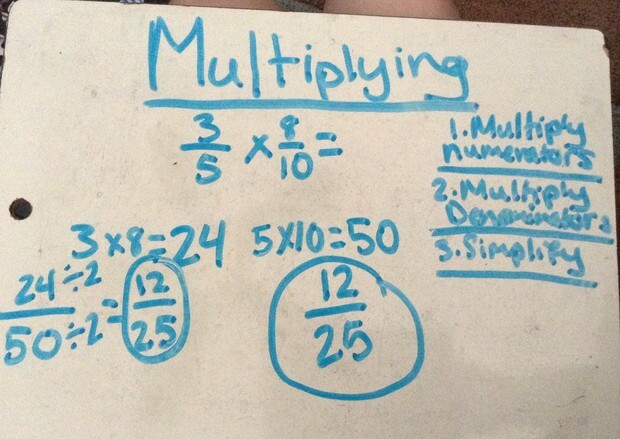 Step 2: Multiply the denominators, multiply across. Step 3: ALWAYS SIMPLIFY IF YOU CAN. Step 1: Keep the first fraction in the equation the same. Then, change the division sign to a multiplication sign and flip the numbers in the other fraction. Step 2: Multiply like usual. Multiply the numerators and the denominators. Step 1: Line your decimals up. 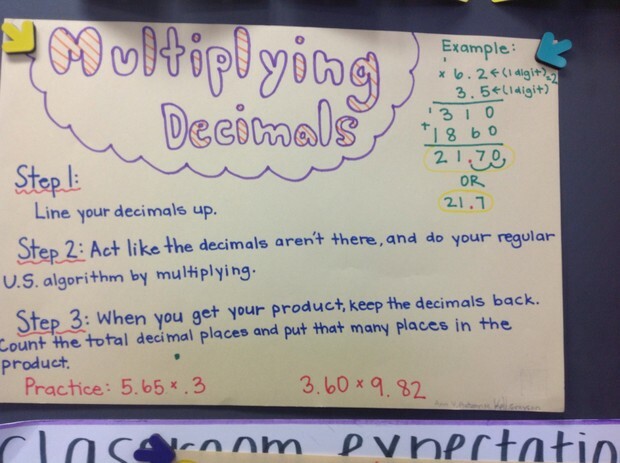 Step 2: Act like the decimals aren't there and do your regular U.S. Algorithm and multiply. Step 3: When you get your product, the decimals are back. Count the total decimal places and put that many decimal places in the product. Step 1: Move your decimal over to get a whole number. Whatever you do in your divisor, you have to do in the dividend. 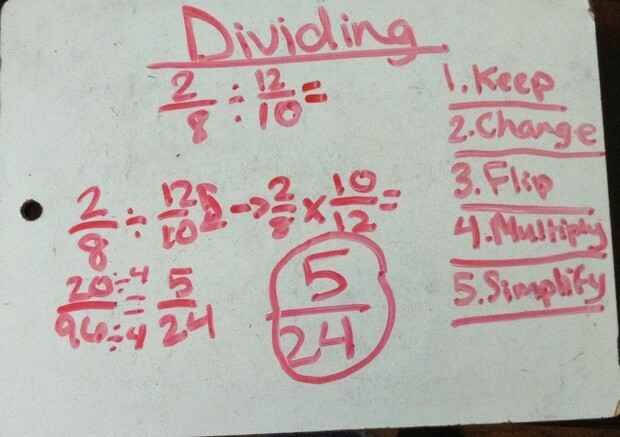 Step 2: See if you can fit the divisor into the first number of the dividend. If not see if it will go into the first two numbers of the dividend.